Ready to get in on the rose gold monochromatic beauty trend? The world at large is having something of a love affair with rose gold ” the pretty pink-tinged offspring of copper and gold-gold. We pulled these 15 rose gold beauty products that are so pretty and available in a range of price points. Click through to see which ones you’ll be dying to hit “add to cart”and comment below! 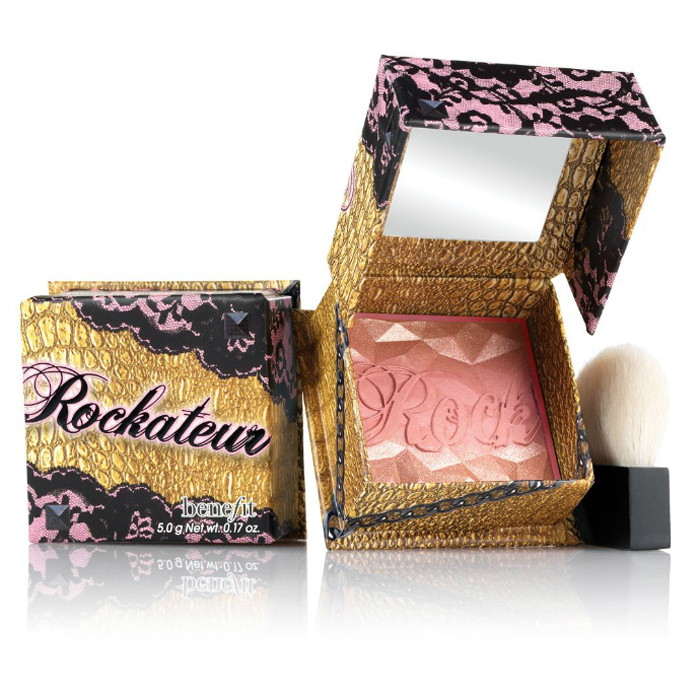 Benefit Rockateur Box o’ Powder Blush $29.00, available at Sephora.